Now let me show you how to play the second guitar part in the A-section. 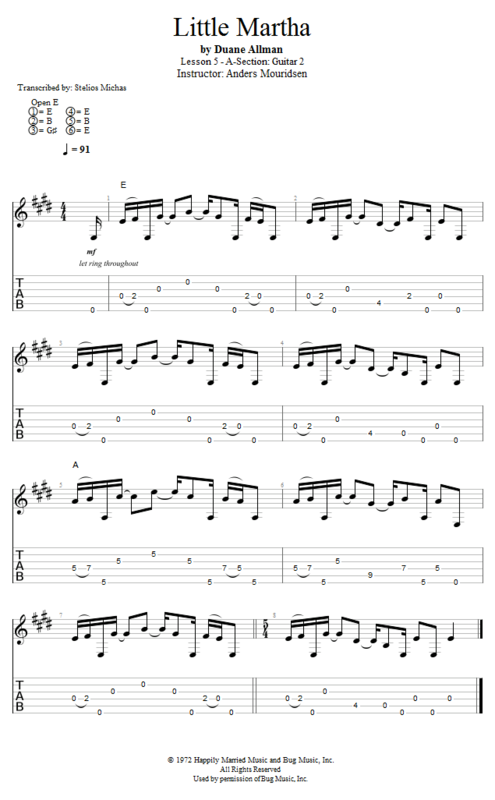 The main function of this guitar part in this section is to harmonize the main melody guitar 1 is playing. Therefore it's a bit simpler, but still pretty tricky to play at first.